Happy Saturday friends! As always, here’s the weekly round-up with all of my outfits. Hope it gives you all the outfit inspo you need, especially as you head into Thanksgiving this week! For more Thanksgiving outfit inspo, check out this post. And don’t forget the weekend sales round-up at the end of this post too! Love this mock neck sweater and the fun golden color! Would be so perfect for Thanksgiving too. Also found the BEST black leather booties that are honestly so comfortable! 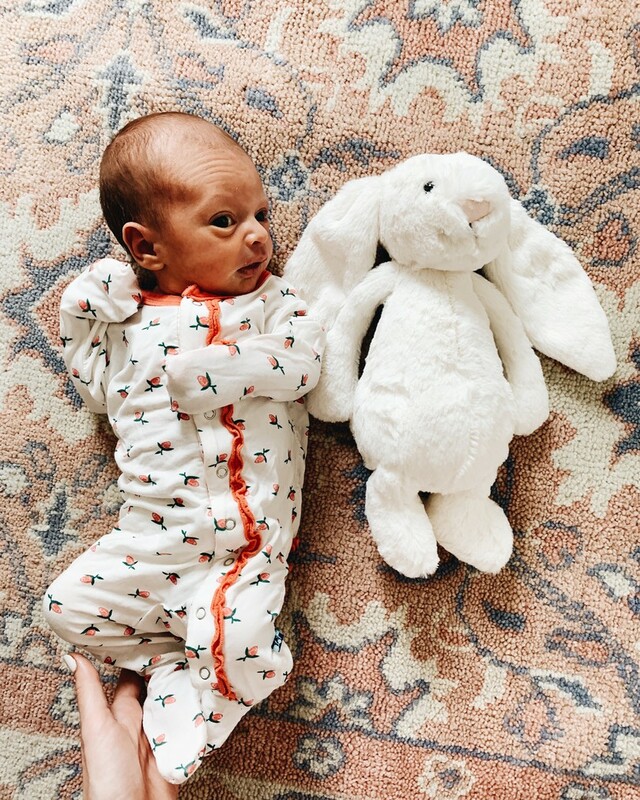 How adorable are these lace pajamas?! They’re also insanely soft and comfy! This floral print onesie may be the softest thing I have ever felt! And I just love how girly it is for our little Shiloh! Obsessed with this leopard dot pullover! It fits TTS and I love the slightly flared sleeves. These OTK boots are so perfect for just about any outfit – they’re so easy to dress up or down! I could live in outfits like this! This oversized cardigan (under $50!) is so cozy and these leggings are legit some of the most flattering pairs I’ve ever owned. They aren’t the spanx leggings, but I love these cause they’re good for workouts too! Love how oversized this sweater is and the color is just so fun! Works really well with leggings for sure. Seriously been living in cozy sleep shirts like this since Shiloh was born! So soft and perfect for breastfeeding! Linking a few faves for y’all. 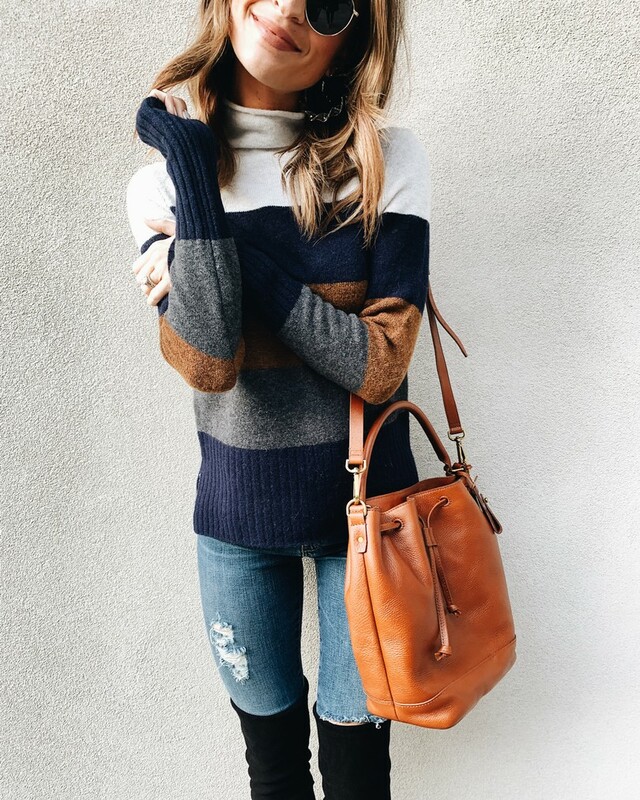 Seriously want this sweater in every color! The perfect length and such a flattering fit. Pretty much never want to take off this cozy turtleneck sweater. It is SO flattering and I am obsessed with the neutral colors. 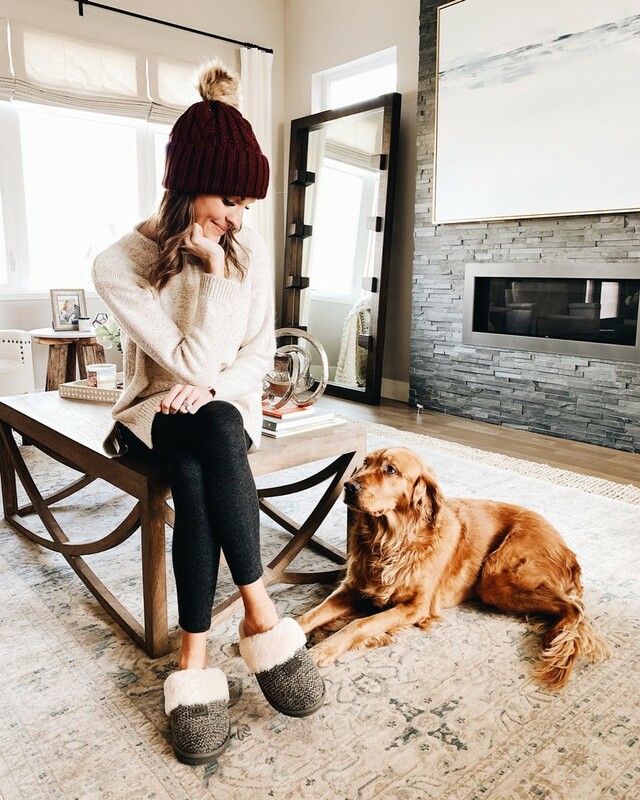 All things cozy for a chill day at home with our little fam! This beanie + these slippers would be such good gifts for pretty much any woman on your list! 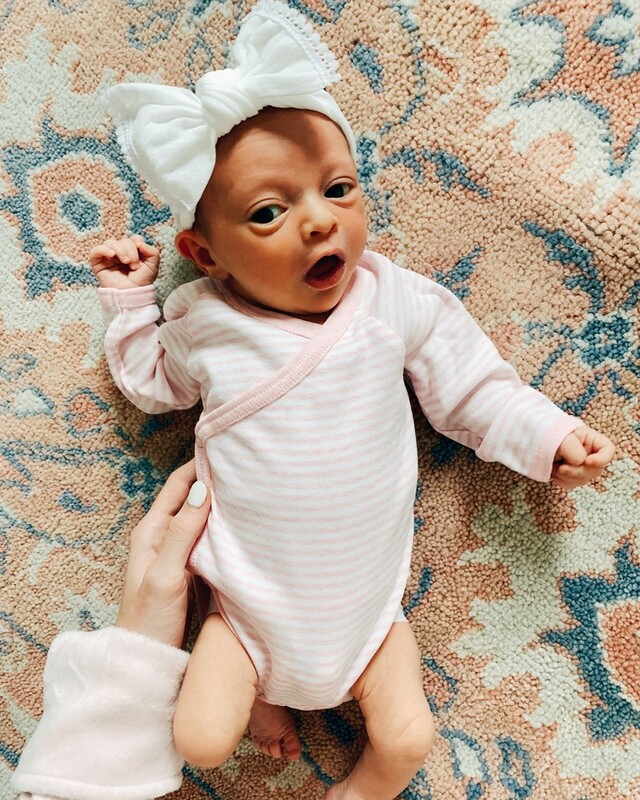 Can’t get enough of her big bows and precious little outfits! 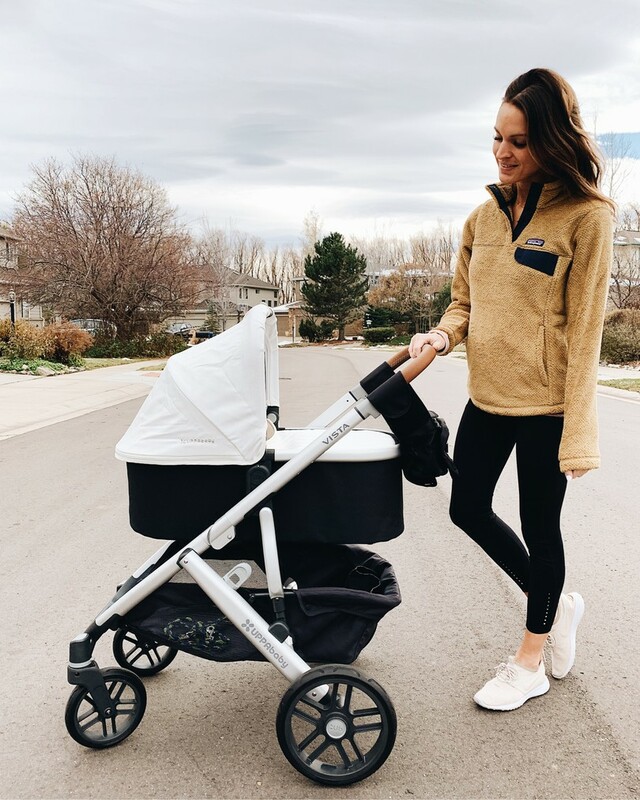 Have this wrap onesie in several colors and they’ve basically been on repeat these last few weeks! One of my fave pullovers! Have it in a couple colors and just absolutely love the soft, warm material of it. « 5 minute + 5 product makeup routine!